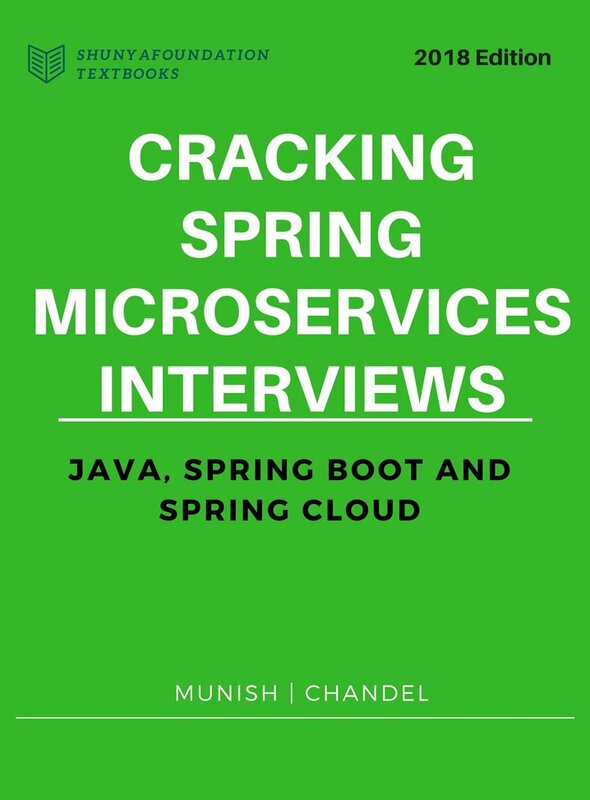 Securing Spring MVC REST endpoint using Basic Auth..
We can head over to Spring Initializer at https://start.spring.io/ and create a project template with below configuration. We can import the project structure created in above step inot IntelliJ IDEA and start implementing the rest of important stuff. 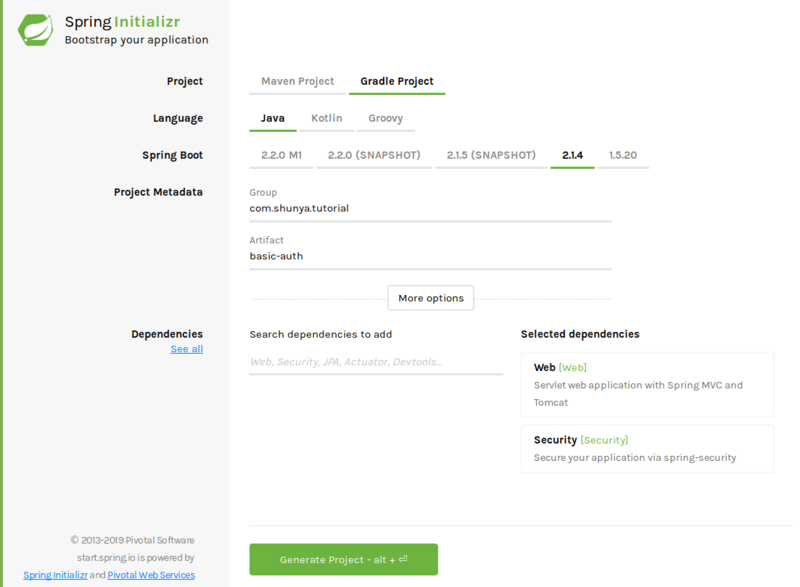 Build file contains the required dependencies: kotlin, spring boot start web and starter security. We need to create an app entry point that we can run to start the application. 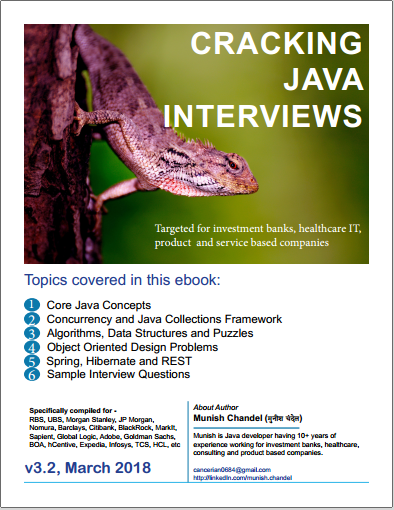 Lets create a REST endpoint using Spring MVC. This endpoint simply returns hardcoded health indicators. Now finally we will secure the endpoint using Basic Auth. 1 We are creating a passwordEncoder bean that uses appropriate algorithm to decode/encode a given raw password. 2 We configure Spring Security to protect /api/** endpoint so that only authenticated requests are allowed. 3 We are creating in memory user pool with given plain text credentials and authorities. this command will start the server at default port 8080. We can use curl to test the API endpoints. We can see that server returns 401 response code when we hit it without passing the basic auth credentials. 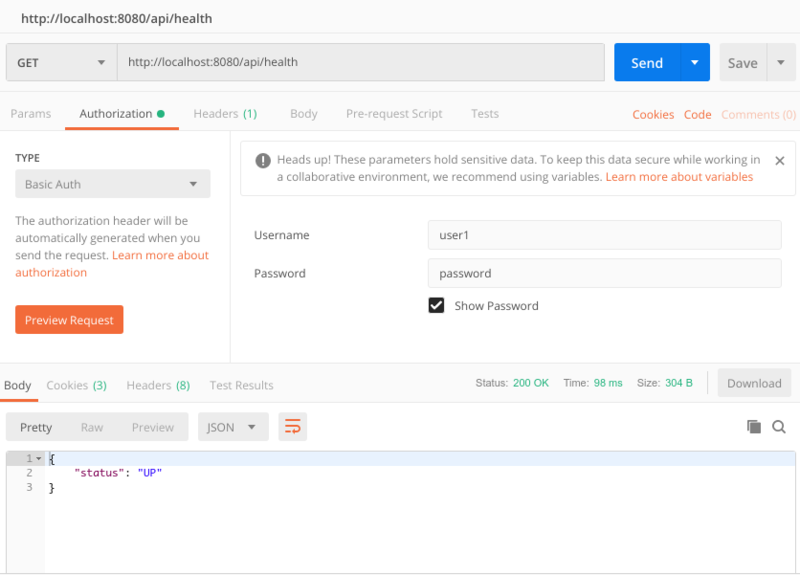 we can see that API endpoint returns the health when we provide user credentials using basic auth. We can also using POSTMAN to hit and endpoint by providing credentials in Basic Auth format.